I had spent the first day of Martyn's only weekend of the month off getting my hair cut and hosting a baby shower for a friend whilst he cleaned the house and went out for a drink with friends. Not exactly what you would call 'quality time together' so on the Sunday after a long lie in we headed to Penarth for an afternoon stroll. Penarth is only a short drive from Cardiff but I've never been before which is pretty astonishing.I always visit Barry Island if I want a little faded seaside glamour. 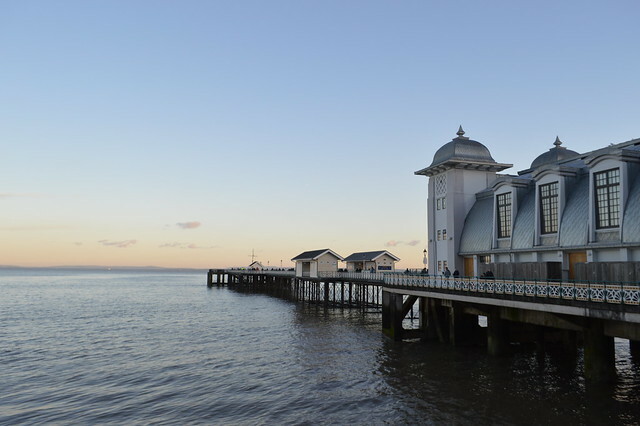 Built in 1894, and opened a year later, the 658-foot-long Penarth Pier is is one of only two surviving pleasure piers in south Wales, the other being Mumbles.The Penarth Pier Pavilion has been recently restored and has a cinema, exhibition space, cafe, bar and restaurant and meeting spaces. It really is very charming. 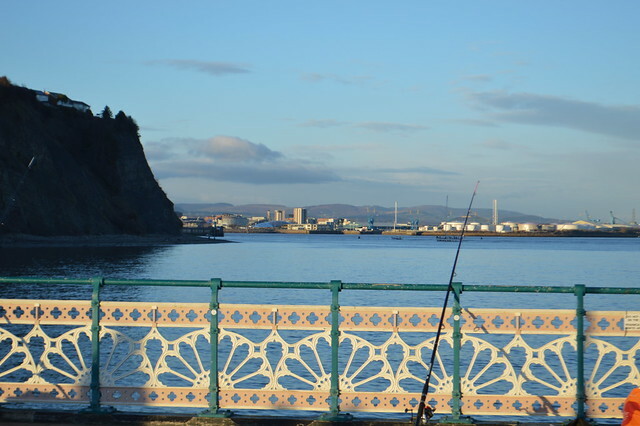 On the pier you get wonderful views of Cardiff and the barrage, Flat Holm Island and the Bristol Channel. There were lots of people fishing at the end of the pier and couples and families enjoying a stroll. 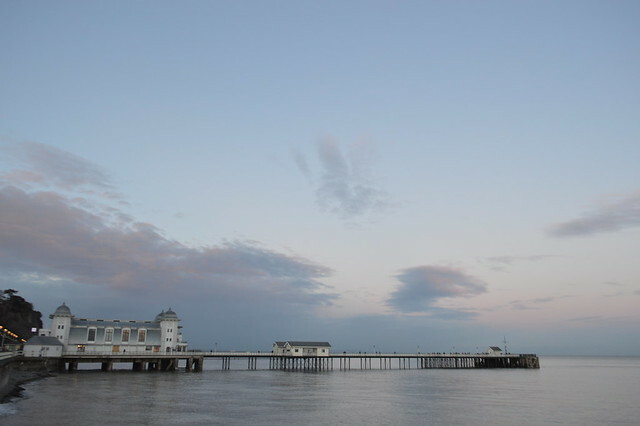 It was voted Pier of the Year by the National Piers Society in 2014. 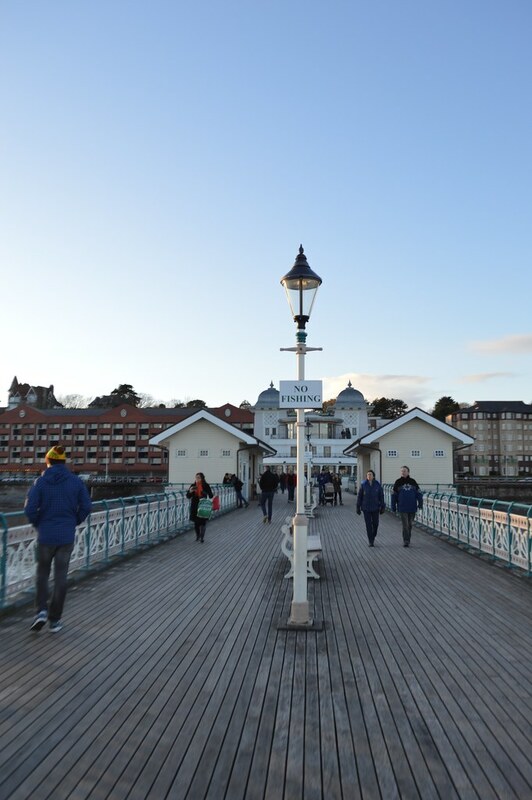 The pier appeared in the Torchwood episode To the Last Man, Tosh and Tommy share a brief moment on Penarth Pier, built in 1894, the same year that Tommy was born. Nice little fact for any Whovians like me out there. I'm really happy with how these photos turned out. I went there at just the right time of day to get the prettiest pink sky and wondeful light. 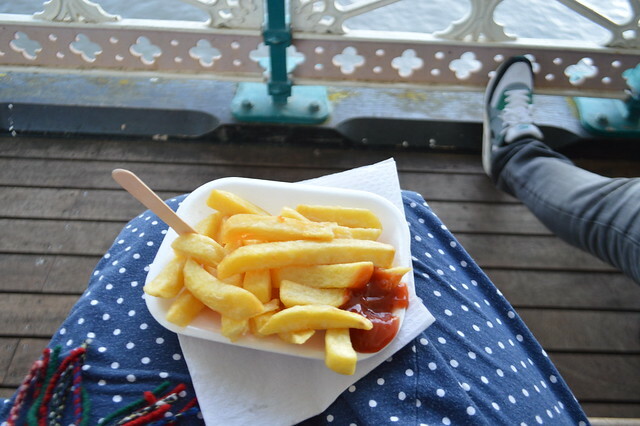 The afternoon out wasn't really planned, was cheap as chips (literally) and it was perfect. All you need for a good day out is great company and a nice view. Super pics! 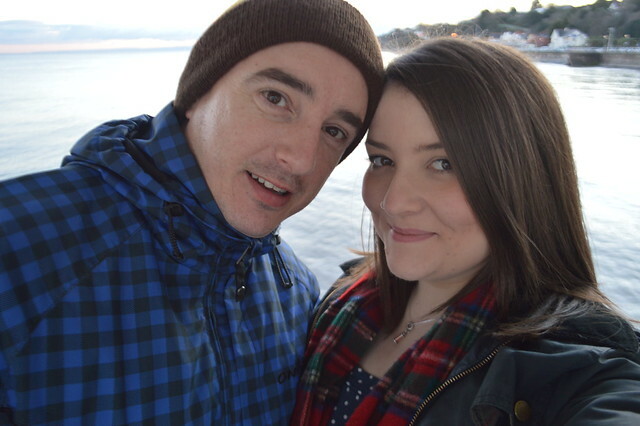 It's a picturesque spot, I've done a few good outfit posts in Penarth! I must go back and visit sometime soon. I went at the perfect time of day, such lovely light there and pretty quiet and uncrowded. Ah it looks so pretty Gem. 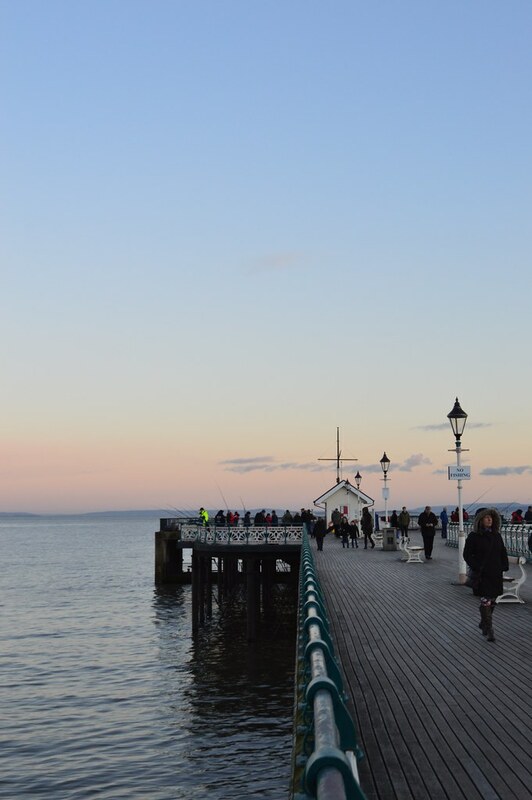 I'm actually off to Mumbles in March so will definitely make sure I take a trip to the pier! Looks like really wicked views. I've never been to south Wales before. Aww this looks like a lovely traditional day by the sea! I'm jealous. 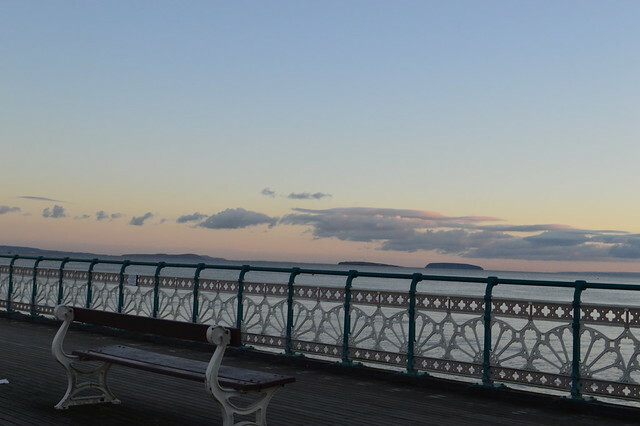 I love the seafront in Penarth. We went there last in October for my husbands birthday and we were lucky enough to eat at the Restaurant James Sommerin which was amazing.